Christmas at Dixie Stampede is a high-spirited holiday adventure and family tradition. The “high-spirited adventure” of Dolly Parton’s Dixie Stampede Dinner Attraction receives a festive twist for the holiday season with the magnificent sights and sounds of Christmas, including a full-scale living Nativity, holiday decorations, Santa Claus and a fabulous four-course yuletide feast. 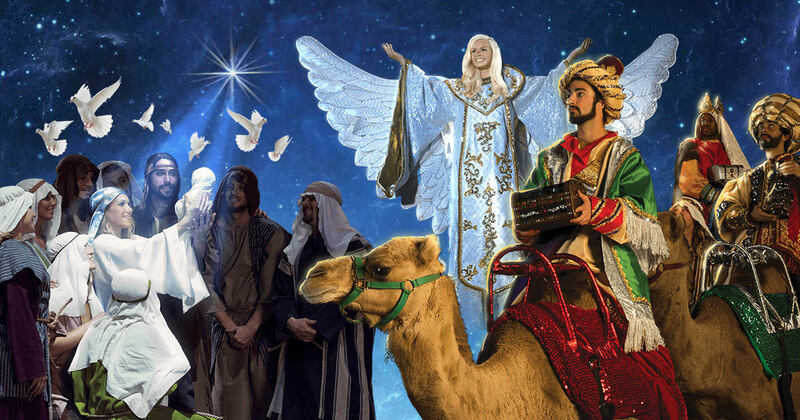 Guests will be awed by the birth of Jesus re-enacted with Mary, Joseph, the wise men and a living Nativity of camels, donkeys and sheep. This touching scene is a reminder of the importance of the Christmas season. The 32 magnificent horses, who are the stars of the show, challenge each other in barrel races and other thrilling competitions, and audience members even may find themselves called in to help their side to victory. No Christmas is complete without an appearance by Santa, as Old Saint Nick arrives in his sleigh while the arena is transformed into a winter wonderland of freshly fallen snow.